The holiday shopping season has finally arrived, which means it’s now the busiest time of the year for you and your online business. You and your team are going to be constantly on the go, managing all your product lines, running your promotions and loyalty programs, and of course, bringing in lots of sales. You’ll be shipping out lots and lots of customer orders, so you’re going to need lots and lots of packaging to go with it all. If you’re feeling a little overwhelmed or worried about what lies ahead of you, worry no more. Enter TPC’s 2017 Holiday Packaging Guide for E-Commerce Businesses. 9 tips to get your packaging efforts in shape for the busiest time of the year. Helpful suggestions for the kind of packaging supplies you should be stocking up on. Dos and Don’ts for keeping your online store on track for holiday greatness. Smart ways to maximize your product sales, packaging budget and shipping times. An extra special gift from us to help you build up your packaging inventory. And there’s still lots more inside waiting on you! Get TPC's 2017 Holiday Packaging Guide FREE—and stay up-to-date on all the great content and products we have to offer! Smart planning will get you through this hectic holiday season. You’re going to be incredibly busy and constantly in demand. 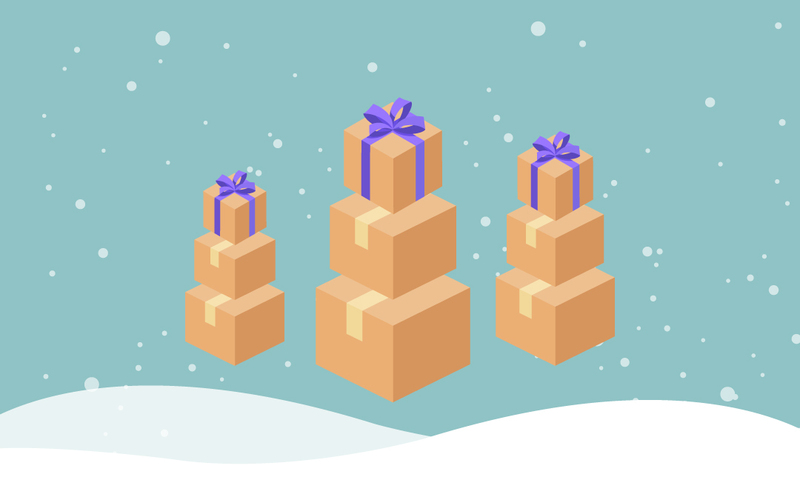 But, with TPC’s 2017 Holiday Packaging Guide for E-Commerce Businesses in your hands, you’ll create a winning holiday packaging strategy for your online business. For all your standard and custom packaging supplies, we’re The Packaging Company and we’re your e-commerce partner for this holiday season and all others. Happy Holidays and good luck to you and your team—you’ve got this!